Yeeeeaaaahhhh! We made it - from the bottom of mainland Australia to the top of mainland Australia. We arrived in Darwin at about 2.00pm this afternoon and set our little home up for the next two weeks. Not that I mind setting up and taking down the camper I am glad we will be based in one place for a while. It was about 31c when we arrived and the humidity has hit like a ton of bricks, we just aren't used to it. Would you believe I haven't even taken any photos here yet! But along the way we did stop off at Adelaide River for some lunch and in the pub was yet another strange sight. I must say Australia does has some strange things on display. This time it was Charlie the Buffalo - dead and stuffed of course, but very big. 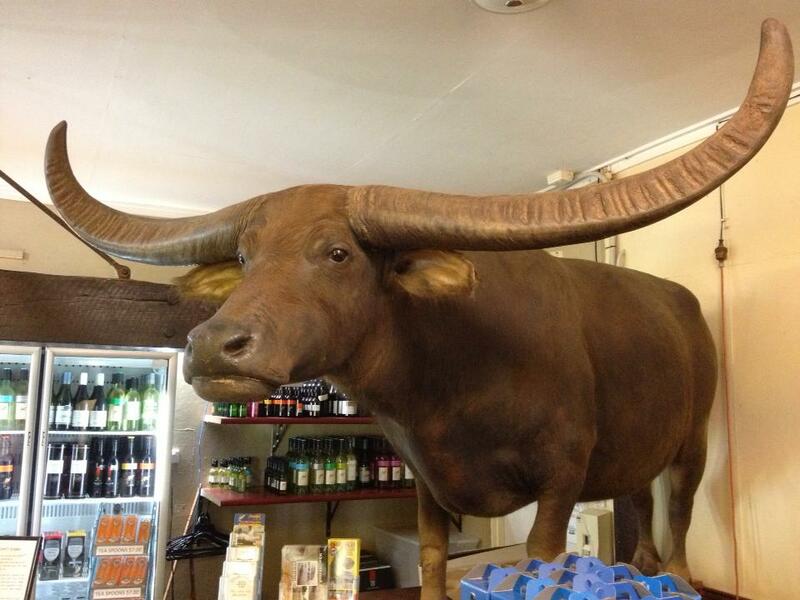 He is pretty famous as he was the buffalo in the movie Crocodile Dundee. Dead and stuffed? Oh my goodness, here I thought this was a statue when I saw it on facebook! Sounds like an amazing adventure Davine! Have a wonderful week. I'm off to Cuba tomorrow for a week so I'll be away for a bit. I'm not sure what internet is like there so who knows when I'll be posting again after tonight or tomorrow afternoon. Til we chat again have fun and take good care!